Continuing my weekly article inspired by Gazzetta dello Sport, here are the performances of all Italian soccer players operating in foreign European leagues. Based on Gazzetta’s info, there are currently 24 Italians playing in first divisions abroad, and 13 of them stepped on the field this week-end. The table below includes the team the player belongs to, their opponents for the week, the number of minutes they played, their contribution (goal, assist), and the final score of the game. Massimo Donati Celtic Falkirk / / pp. This week was pretty bad for Italian players, no one in particular standing out in a positive way. 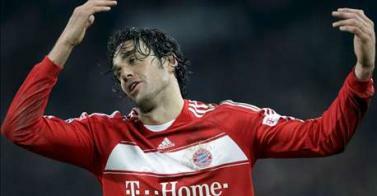 Luca Toni did get 1 goal on Saturday, but his Bayern team lost their first match of the season against VfB Stuttgart. The Italian striker even saw a goal in the 1st half being inexplicably called off, but despite that fact he remains at the top of the Bundesliga scoring charts with a 9 goal total. Even darker day for Gianluca Zambrotta, who came on in the 2nd half against Getafe with his team down 0-1, and earned a direct red for a reckless tackle in the 85th. A bit severe if you ask me, from the video evidence. This entry was posted on Monday, November 12th, 2007 at 6:39 pm	and is filed under Italian Players Around the World. You can follow any responses to this entry through the RSS 2.0 feed. Both comments and pings are currently closed. Why Should I Read This Blog? If you love the game, football betting is a great way to make money from all your sports knowledge! Why Was Mancini Considering AS Monaco? 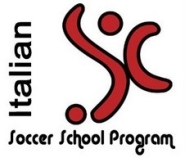 Euro 2012 – SPAIN, IRELAND, CROATIA Rosters – Know Thy Enemy, Azzurri Fans!